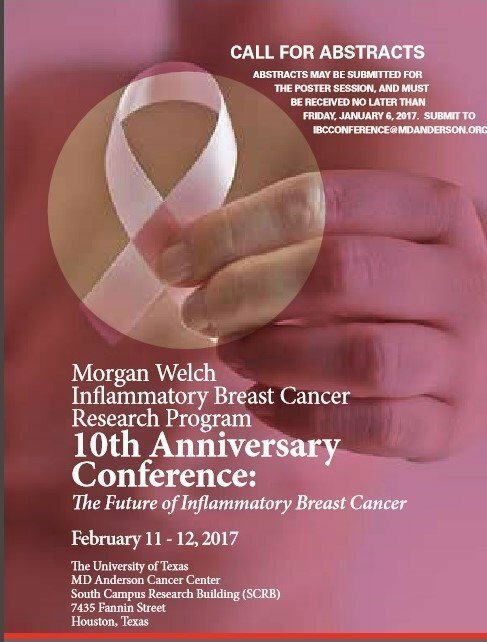 Home/General/The 10th Anniversary Conference: The Future of Inflammatory Breast Cancer. The Future of Inflammatory Breast Cancer. The registration for non-physician, non-healthcare provider will be $15 (not mentioned in this first release.) More info to come. This is expected to sell out so mark your calendars now and watch for more details asap! The IBC Network Foundation is honored to be a sponsor of this important event.